Vector portrait of a young Asian woman with a blushing face. Strong flush on the pale skin of the girl, curved plump lips, almond shapes eyes and beautiful eyebrows. Hair made out of floral silhouettes and a big flower on the top of the head. 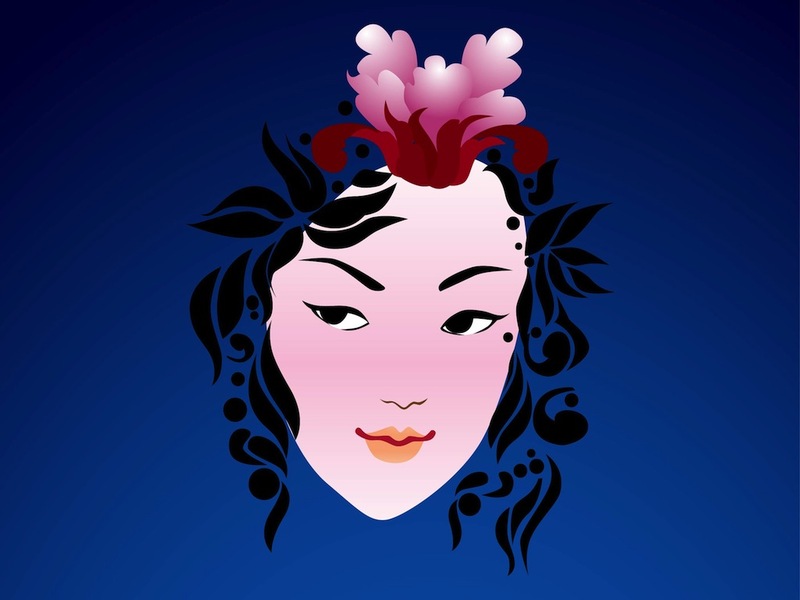 Free Japanese woman vector portrait for all female beauty, geishas and make-up projects. Tags: Asian, Beauty, Chinese, Flowers, Girl, Japanese, Pale, Pretty, Woman.